Sometimes it’s easy to get caught up in the enviable lifestyle of NBA players but people rarely consider the amount of hard work these guys put in when the cameras aren’t on them. 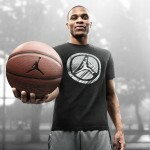 Russell Westbrook of the Oklahoma City Thunder stars in our newest Foot Locker Approved commercial called “Ready to Fly” in which he schools a young star on the strenuous work it takes to “fly.” Featuring Westbrook and a cameo from Spike Lee, “Ready to Fly” is all about the work necessary to accomplish flight – and the new colorways of the Air Jordan XX9 that we’ll be seeing this holiday season. Check out the spot below and click here to shop all of the newest Jordan kicks and apparel currently available on Footlocker.com. Print article This entry was posted by hhcblog on December 12, 2014 at 10:58 pm, and is filed under Footwear. Follow any responses to this post through RSS 2.0. You can leave a response or trackback from your own site.